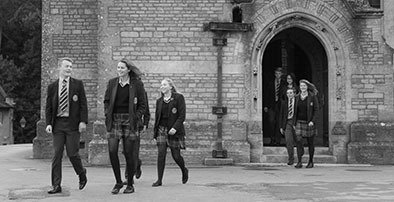 Kingham Hill School is committed to providing a website that is accessible to the widest possible audience, regardless of technology or ability. We want every visitor to feel welcome and to have a rewarding experience. To help achieve this goal, this website has been built in accordance with Web Content Accessibility Guidelines (WCAG) 2.0. These guidelines explain how to make web content more accessible for people with disabilities and user friendly for everyone.They have three levels of accessibility (A, AA and AAA). This website endeavours to meet the majority of AA requirements. Whilst we strive to adhere to all AA accessibility requirements, it is not always possible to do so in all areas of the website. We are continually seeking out and implementing solutions to improve on this and reach the highest standards possible. If you find anything on the Kingham Hill School website difficult to use please complete the form below or send an email to the Webmaster.